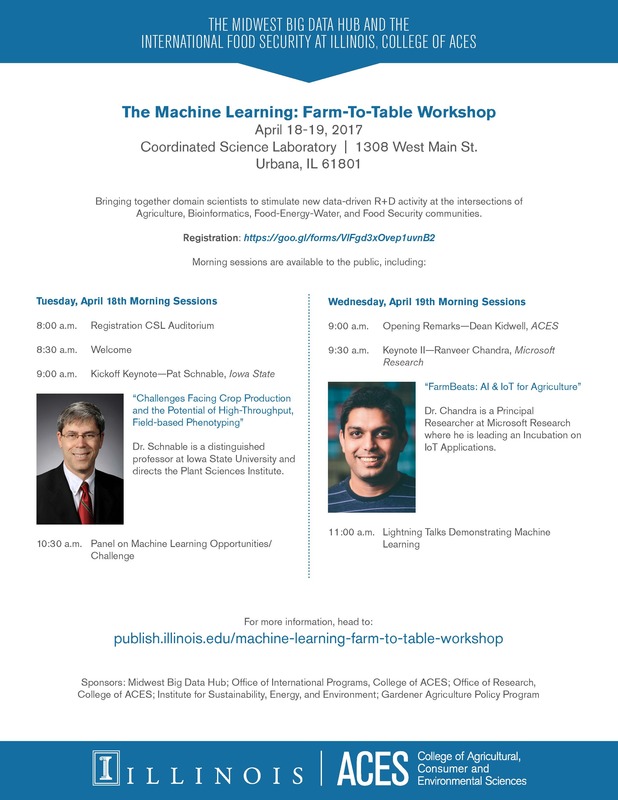 The Midwest Big Data Hub (MBDH) is partnering with the International Food Security at Illinois (IFSI) group at UIUC to bring together domain scientists from the Agriculture, Bioinformatics, Food-Energy-Water, and Food Security communities, along with computational experts. The objective of this workshop is to stimulate new data-driven R+D activity at the intersections of these communities. The meeting will be structured to enable new cross-community interactions and initiate grant proposals or publications. Learn more at the workshop website.